Marian Farrior consults in affiliation with Jane Elder Strategies and independently. Her skills include program planning, program management, evaluation, research synthesis, and training. She researched and wrote Emerging Trends in Communications and Social Sciences for a National Science Foundation funded project for the Biodiversity Project. Her background also includes project design and implementation, grants management, meeting planning, workshop development, networking, and producing reports. 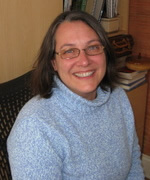 She was a founding member of the Biodiversity Education Network (BEN) and was instrumental in helping to create the BEN Web site. She also helped create a Web site on the emerging field of Conservation Psychology. Marian holds a B.A. in Anthropology from the University of Maryland and an M.S. in Sustainable Systems from Slippery Rock University. She has extensive training and certification in Permaculture and completed Leadership Institute training at the University of Wisconsin-Madison. She is the Earth Partnership Field Manager at the University of Wisconsin-Madison's Arboretum, where she coordinates ecological restorations of prairies and oak savannas and conducts trainings for volunteers to lead ecological restorations. She formerly coordinated the Arboretum's adult education programs and annual Native Landscaping Conference. Organizational change training for the Sigurd Olson Environmental Institute at Northland College in Ashland, WI. The training included sessions on Managing Polarities, Learning Styles and Theory, Appreciative Inquiry, Logic Model, and Communications Strategies. Designed and led workshops in Introduction to Permaculture. Co-led workshops in Conflict Transformation at the National Women's Studies Conference and other venues. Partnered with Jane Elder on communications coaching, leadership and vision projects, and developing training programs and educational modules on strategic communications on environmental issues.